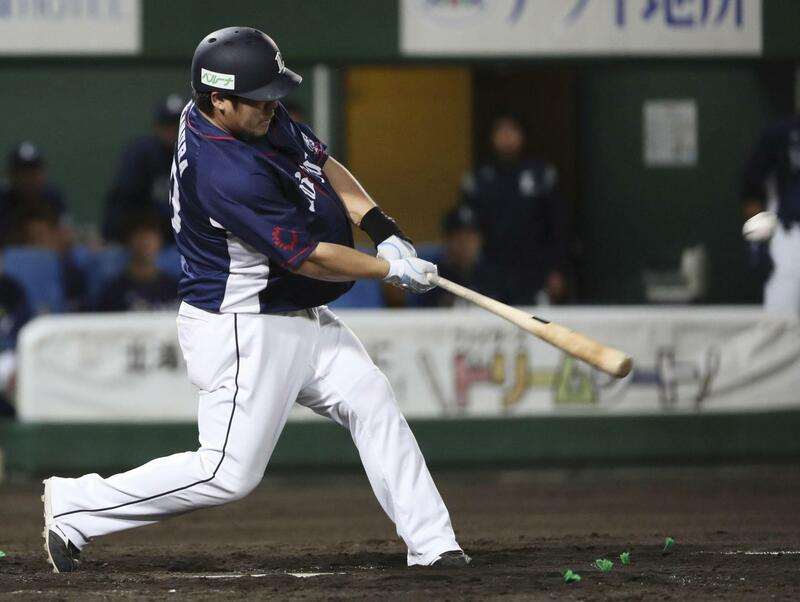 ASAHIKAWA, HOKKAIDO - Takeya Nakamura drove in three runs on three hits, including his 24th homer of the season, as the Seibu Lions beat the Hokkaido Nippon Ham Fighters 7-3 in the Pacific League on Tuesday night. 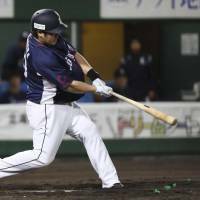 The PL-leading Lions forced the Fighters to go deep into their bullpen at Asahikawa Starffin Stadium with an impressive hitting display. Nippon Ham starter Mizuki Hori (2-2) took the loss after surrendering five runs on seven hits and a pair of walks. He exited in the top of a fifth inning in which the Lions would rally for two runs. Seibu starter Shinsaburo Tawata (13-5) got the win after going 5-1/3 innings, giving up three earned runs on eight hits. He struck out a pair and walked one. The home side opened the scoring in the bottom of the first when Sho Nakata reached 25 homers for the season with a two-run effort. With two out and leadoff man Haruki Nishikawa on first, Nakata sent Tawata’s 0-2 pitch deep to left. The Lions went ahead in the top of the third when Nakamura followed Hideto Asamura’s RBI single with a two-run blast. Asamura, who extended his hitting streak to nine games, brought home Yuji Kaneko on a grounder initially ruled a sacrifice before a video review determined the speedy infielder had beaten the tag at first. The video wasn’t so kind to Asamura later in the inning, however, when he was ruled out trying to score on Hotaka Yamakawa’s double to center field. With two out and a 2-2 count, Nakamura went deep over the left-field wall to put the visitors up 3-2. Left-hander Hori received his marching orders with runners on second and third and no outs in the top of the fifth. Reliever Yohei Kagiya lasted just two outs, surrendering a pair of runs on hits from Nakamura and Tomoyo Mori before getting pulled for Katsuhiko Kumon. The Fighters cut the lead to 5-3 in the bottom of the inning when Haruki Nishikawa scored on a Kensuke Kondo single. The visitors stretched it to 7-3 in the seventh when Michael Tonkin gave up an RBI single to Takumi Kuriyama, then walked Shogo Saito with the bases loaded. The loss leaves the third-place Fighters six games back from the Lions in a tightly contested PL playoff race. Eagles at Buffaloes — ppd. Hawks at Marines — ppd. At Hiroshima’s Mazda Stadium, Ryosuke Kikuchi delivered a sayonara single in the bottom of the 12th off Hanshin closer Rafael Dolis’ two-out, 2-1 pitch to bring home Hiroshima teammate Tetsuya Kokubo. The teams were deadlocked 4-4 through nine innings. At Tokyo’s Jingu Stadium, Tsuyoshi Ueda slugged a walk-off, three-run homer off Chunichi’s Katsuki Matayoshi in the 11th, giving Tokyo Yakult a dramatic victory. The home side sent the game to extra innings with a six-run rally in the bottom of the ninth. BayStars at Giants — ppd.